It’s coming. 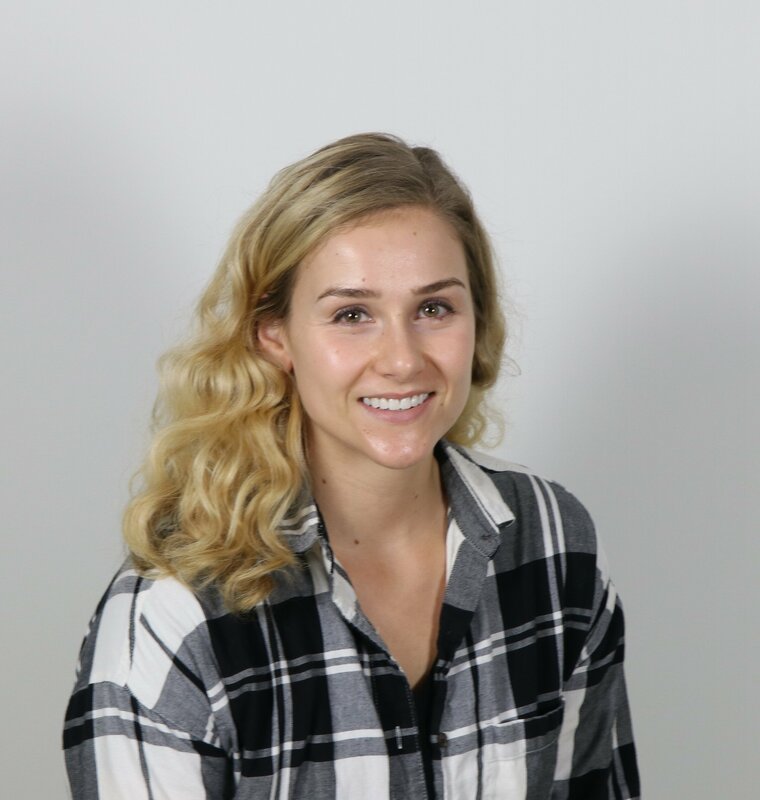 Your long-awaited spring break vacation is almost here and you might be panicking about what to pack, if the weather wherever you’re going will cooperate, and most importantly, how everyone will keep their sanity during the long car trip.Rest your worries and check out this list of tips, hacks, and kid-friendly activities that will help you survive and enjoy your road trip. After all, as Ralph Waldo Emerson once said, “Life is a journey, not a destination,” the same goes for vacation. A key to keeping your sanity is to have a clean and organized car. A good way to achieve this is to dedicate a space to put your garbage. Get a plastic cereal box, line it with a grocery bag, and stick it between the car seats. This is a great option because it has a closed lid to prevent spills and smells. 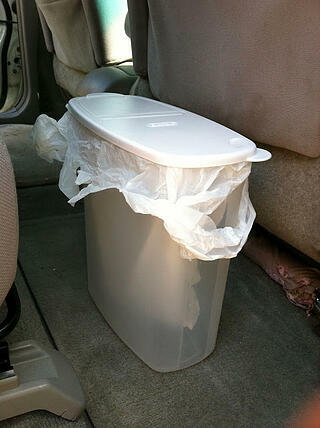 Having your family confined to a car for a long period of time can get, well, smelly. Hide some dryer sheets throughout the car to keep the stink away. 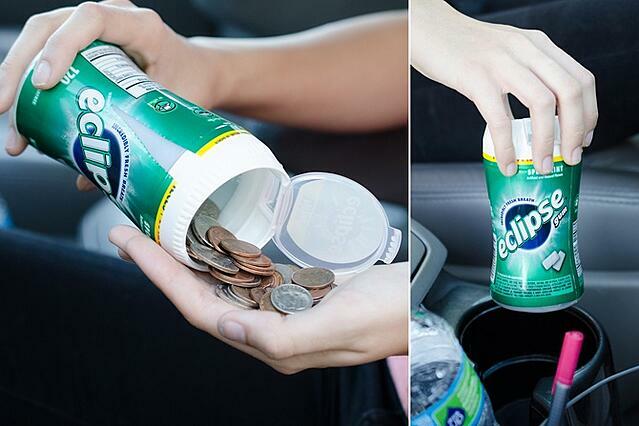 Put change in an old gum container with a pop-top for easy toll paying. You won’t have to worry about coins cluttering your cup holders or digging around in your wallet last minute for loose change. 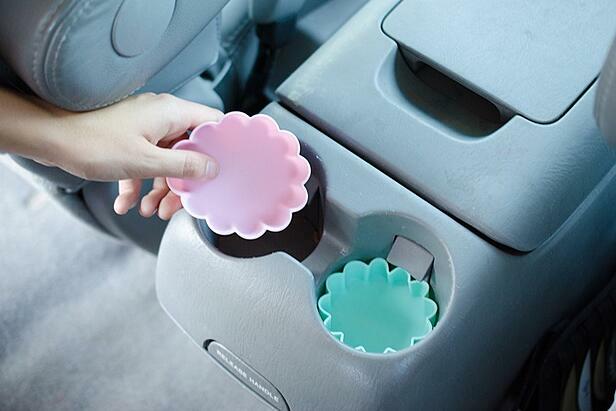 Place silicone cupcake liners into the cup holders before your trip to catch all of the snack and fast food crumbs. These are great because they can be scrubbed free of mysterious liquids after your trip. Perfect for the neat freak or for anyone who doesn’t want sticky cup holders. This isn’t just a good idea for long car trips, an emergency kit should always be in your car! An emergency kit can be as simple as a tote bag with all the fixings in it like aspirin, bandaids, antacids, and hand sanitizer. This is also where you can keep a box of tissues and a container of wet wipes for any messes. 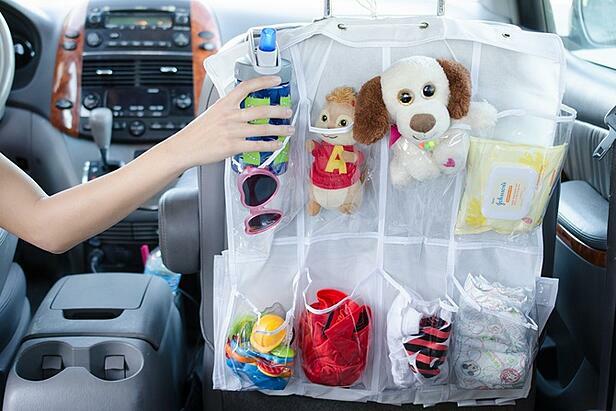 Free up some floor space in the car by hanging a shoe organizer on the back of the driver and passenger seats. Not only can you store small books and toys here, but it's also a great place to keep snacks and a water bottle! As any pro-roadtripper, or person, knows, snacking is a great way to fend off boredom. Make sure you pack plenty of healthy, nutritious snacks that don’t need to be refrigerated. You can also keep the kids happy by packing special treats that they don’t normally get at home and surprising them with the treats throughout the trip. Obviously, everyone should have a water bottle too, just drink water in moderation! A car tray is a great way to keep your kids playing in a confined space. They will enjoy having a hard surface to color, play, and craft on, and it’s a great place setting for those fast food meals! Check out this cool collapsable tray with extra storage. Car games are great because everyone can play and you don’t have to bring along any extra, clunky stuff! From the alphabet continuation game to 20 questions, and even a spelling bee, there are lots of games your whole family can enjoy while on the road. 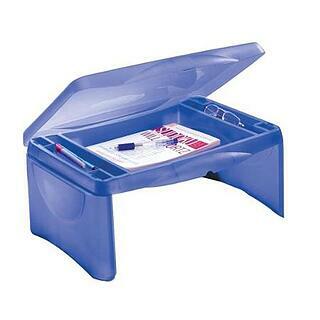 What better way to keep all of your kid’s activities in one place than putting them in a binder? 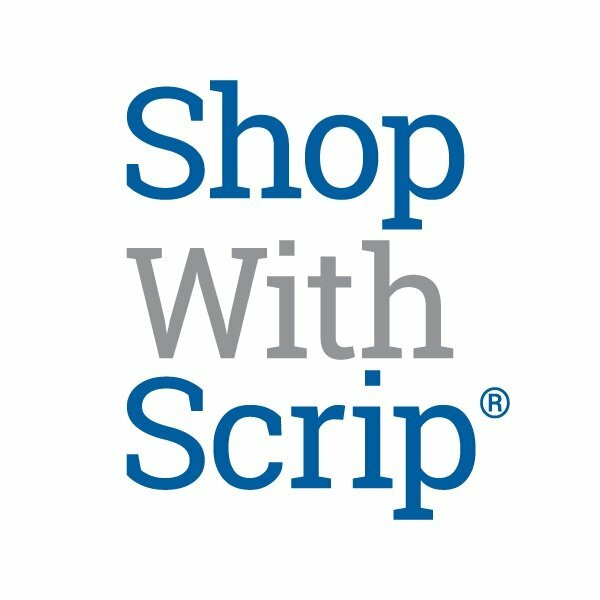 For little kids, these can consist of coloring pages and sticker sheets, but there are also great free printouts for older kids that include practice sheets for spelling and math. If your kids are more artistic, or you don’t want to take up space with binders, make these nifty DVD coloring cases for a more compact option. That’s it! 10 simple tips and activities to have a stress-less spring break car ride. 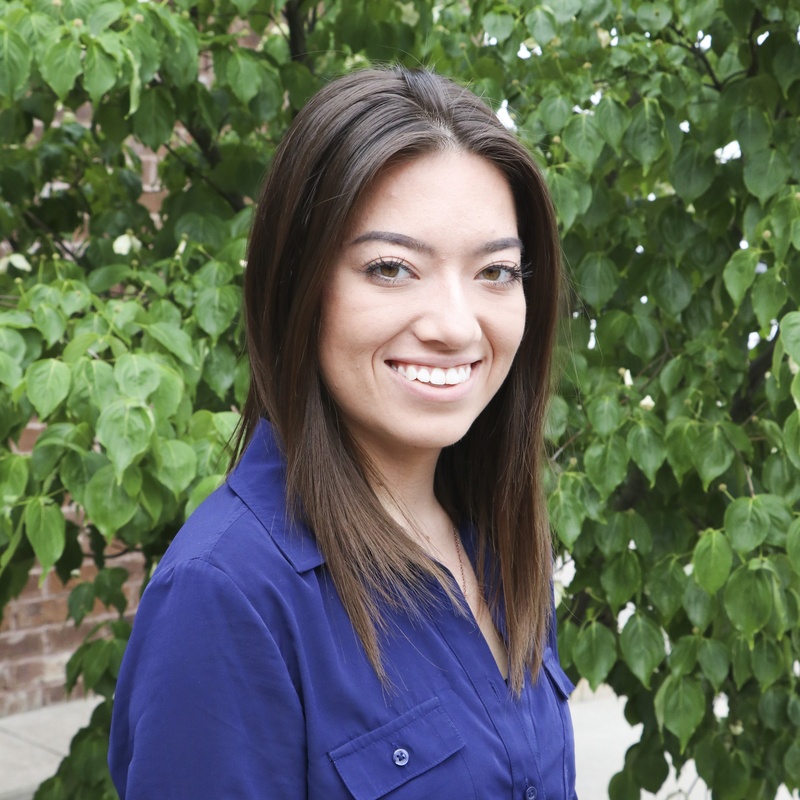 Subscribe to our blog for more quick tips.